Constant Beta Motion Picture Company, Creative Control and Abramorama will collaborate on the theatrical distribution of “The First to Do It,” a documentary about the life and times of Earl Lloyd, the first Black American to play in the NBA. 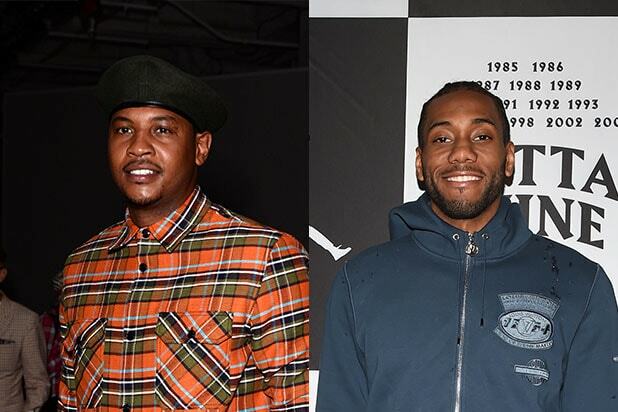 The film brings together current basketball players including Carmelo Anthony, Kawhi Leonard and Chris Paul, as well as Hall of Famers Oscar Robertson, Dave Bing and Bob Lanier. Dean Cole provides the voice of Lloyd. Abramorama is planning a wide theatrical release in February 2018. “The First to Do It” is produced by Arka Sengupta and executive produced by Michael Finley, Tony Parker, Anthony, Leonard, PJ Tucker, Harry I. Martin, Amit Sharma, Jason Cole, David T. Friendly, Jack Lechner, Michele Roberts and Chrysa Chin. “The story of Earl Lloyd is an important part of the history of professional basketball in the US. His achievements and the times in which he lived provide important lessons for players and fans today. Our support of this film reflects our commitment to preserving the legacy of our players and our game, and the positive impacts that both have had on our society,” said Sherrie Deans, executive director of the National Basketball Players Association Foundation. “Being from my generation, it never occurred to me that people like me couldn’t play this game. That’s why it was so important for me to share this history with the younger generations that are coming behind me. We need to understand where we came from,” said Leonard, of the San Antonio Spurs. “The First to Do It” recounts Lloyd’s journey from growing up in deeply segregated Alexandria, Virginia, to witnessing the first black President of the United States. The film also tells the story of how the modern game of basketball was formed. 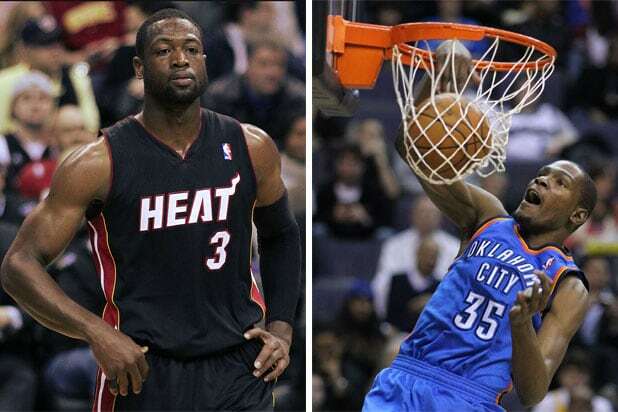 Kevin Durant and Dwyane Wade are the two most high-profile signings thus far of the 2016 free agency summer. Durant was a great value for Golden State, while Wade will sell a ton of tickets and jerseys in his hometown of Chicago -- neither of them quality for our list of "the worst." Click on through to find those. Conley is a very nice player, but this contract actually makes him the highest paid NBA player OF ALL TIME -- and Michael Jordan, Magic Johnson, Larry Bird, LeBron James, Kobe Bryant, Bill Russell, Wilt Chamberlin, Kareem-Abdul Jabbar, he is not. Again, this isn't a shot at Anderson as a professional basketball player (a common theme towards the top of our list) -- he's just not a $20 million-per-year player. Especially on defense. Biyombo is fine -- especially on and around the boards -- but 5.5 points per game last season doesn't typically translate into $72 million. Then again, his offense is a hair better than Joakim Noah's (but not his hair), and that guy just got the same deal at 31 years of age. This signing proves how desperate the Los Angeles Lakers are in their first summer without Kobe. Mozgov averaged 6.3 ppg, 4.4 rebounds, and 0.8 blocks per game last year. So, maybe just a bit overpaid. Click back to Biyombo's slide, then add eight years and a ton of injuries. The Nets just keep making terrible signings, and have given away a ton of money to average players already. Johnson's perhaps the team's most-egregious example: He's only started seven games in his two-year career, and couldn't crack 9 ppg across 2015-2016, though he played 24 minutes/game. As a shooting guard, that's not great -- or at least, not $50 million great. A guy named Kent Bazemore that you never heard of (admit it) is now making $17.5 million per year through 2020. Have a nice day at your job! Did no one watch Barnes shoot in the NBA Finals? Considering Steph Curry, Klay Thompson and Draymond Green were drawing double-teams the whole time, perhaps a max contract should have never been in the cards for Barnes. And here's possibly the worst of the bunch. Even Dellavedova probably can't believe what he just signed. Coming off the bench last season, Delly averaged 7.5 ppg, 4.4 apg and 2.1 rpg -- but the most telling stat is probably his weak PER. LeBron James just brought a ring back to the championship-starved city of Cleveland. He's technically a free agent now, with a moratorium on signing any contract that lifted today. Will he re-up with the Cavs? Probably -- and likely for massive money -- even if it's another hyper-short contract to keep his options open. With Durant all locked up, LeBron is the big fish to watch. Your move, King.